Manchester Digital will announce a new chair and governance structure next month after Graham Benson announced he would be stepping down. Benson (right), the former CIO of Rentalcars.com, has led the independent trade association for the past two years. The new chair will oversee future growth plans and the work that the organisation does, which includes regular lobbying and efforts to tackle issues facing the digital sector in the region. MD Katie Gallagher said: “Graham has been pivotal in enabling Manchester Digital to create this new structure and evolve its activities and we are extremely thankful for the dedication and leadership he has given the organisation over the last two years. 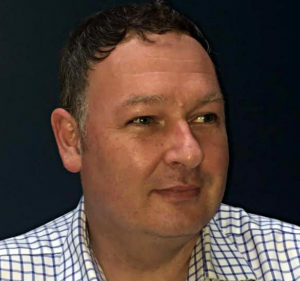 Benson added: “The last two years have seen Manchester Digital grow and develop its footprint to deliver services to a much wider range of digital and technology businesses. I am delighted to have played a part in the organisation's evolution and to have worked with such a talented team on the strategy behind the new governance structure. This new direction will, when implemented, enable the organisation to further step up its capabilities, whilst also operating much more efficiently and effectively. The council and board of Manchester Digital will also propose a new governance structure at its next AGM to support future growth. Manchester Digital is also making a significant investment in its workforce to support future growth and has recently appointed an operations and membership manager, a marketing and events assistant, and a talent and skills manager. Manchester Digital’s 2017 Annual General Meeting will take place on Wednesday 4 October at 6pm at the Neo Building on Charlotte Street, Manchester.